This is a very happy little piece that should be especially useful for the younger primary choirs. Its melody should dance freely along, and its accompaniment should be light and bright. 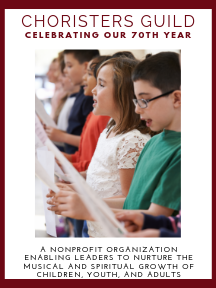 The text is one that younger children can easily learn, and the accompaniment invites the use of Orff percussion instruments (finger cymbals, tambourines, etc.) on stanzas 1 and 2 which children in the younger grades particularly enjoy.